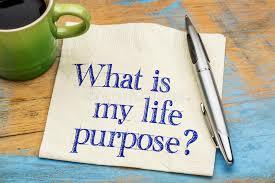 "What is God's purpose for my life?" The question is often asked among Christians. The idea behind the question is that God has a plan for your life and you need to go find out what that is. The truth is that God has only one plan for all Christians — Christ. The moment you become a Christian Christ becomes God's plan for your life, and you are to seek out Christ. Many waste so much time seeking for God's plan for their lives when God has hidden it all in Christ. "For ye are dead, and your life is hid with Christ in God." (Col 3:3). Everything about your life as a Christian is now hidden in Christ. You cannot find God's purpose for your life unless you find Christ. It is hidden in him, the more you find Christ the more you will find God's purpose for you. You died, you don't have a life or a purpose, all you have now is Christ. Only Christ lives, only Christ can do the will of the Father, only Christ has a purpose from God. You died, all that is left now is Christ, the more you grow into Christ the more you will grow into God's purpose. The more Christ is expressed in you the more you will express (or rather do) God's purpose. You must allow Christ live in you, for only him can do the Father's work, only him can fulfill God's purpose. Hence, it is not about finding a thing called "God's purpose for your life", it is rather about finding Christ. Everything that God has for you is packaged into Christ, He has summed up all things into Christ. "a long-range plan in which everything would be brought together and summed up in him [Christ], everything in deepest heaven, everything on planet earth." (Eph 1:10). Everything brought together and summed up in Christ, God did this so that Christ becomes the only thing to pursue and seek after. People keep telling you that in life you need wisdom, you need honesty, you need humility, you need faithfulness, you need grace, you need blessings, you need favour, and on and on. It would be quite difficult pursuing all these many things at the same time. Well, God has made it easier by summing everything in Christ so that you will only pursue one thing and have it all. You pursue Christ and you will find blessings, honesty, all the good virtues, grace, favour, wisdom and God's purpose for your life. It is all in one package, that Christ might become your only pursuit, your obsession. No, we are not looking for a thing called "God's purpose for my life". The only thing we are interested in seeking is Christ because when we have him we would have all other. Yes, when you have Christ you will have God purpose, and as you grow into Christ you will grow into God's purpose. As you die and live only by the life of Christ in you, you will end up living out God's purpose for you. It is all in this Christ.